The skate gear continues. 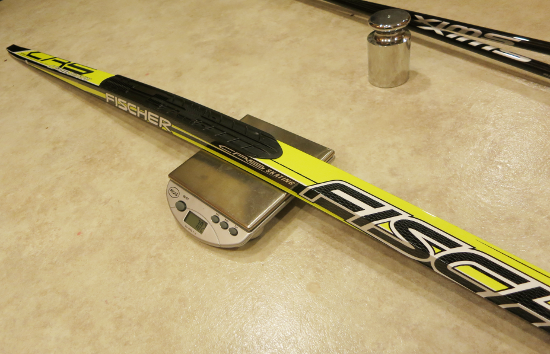 As a review goes, I’m still calibrating myself as much as the skis for skate gear. No flaws, binding mount went smoothly, skis go fast. If you’re looking at the photos, the 2000/2006 g calibration factor applies to this scale. 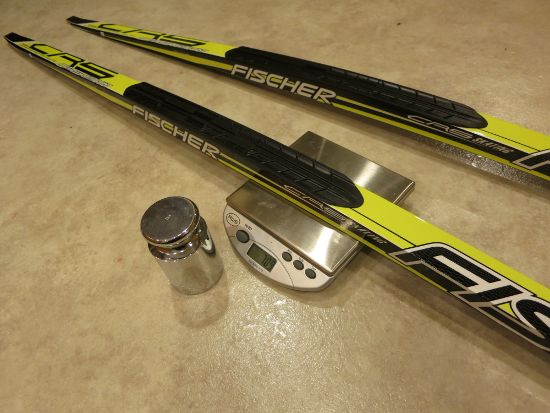 One ski weighed in at 700 g, the other at 708 g. With the usual caveats (2 measurements is a poor way to sample a distribution), this comes to 704±7 grams for each ski. 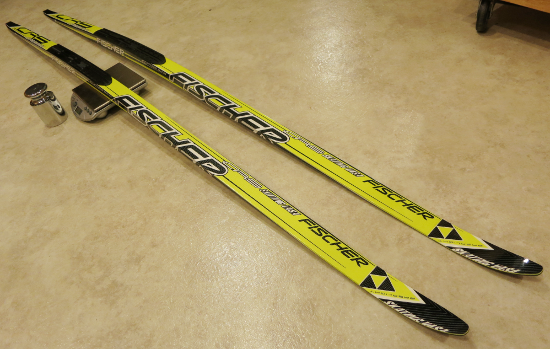 I can’t find a spec from Fischer for the 192 cm ski. Scaling their 187 cm ski weight (1350 g /pair) up to 192 cm would suggest 693 g/ski, but it’s not necessarily a fair comparison.